There's no question that NYC has an abundance of Italian restaurants, but to find ones that truly stand out against others is not that easy. My favorites are probably Maialino, Da Andrea, and now Giano. Although all are Italian, they each offer very different experiences. Maialino has a nice semi-formal dining ambience, with a killer cacio e pepe; Da Andrea is cozy and welcoming, and the owner never forgets a face; and Giano feels very downtown and offers both unique (to NYC) and authentic dishes. 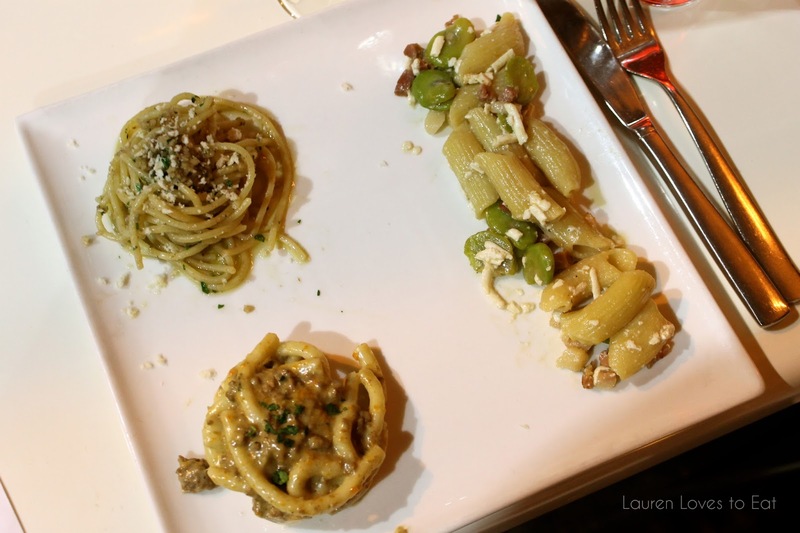 At this press dinner, we were presented with 5 courses, and for the appetizers and pasta, a variety of each. It was the perfect way to sample a little of everything. 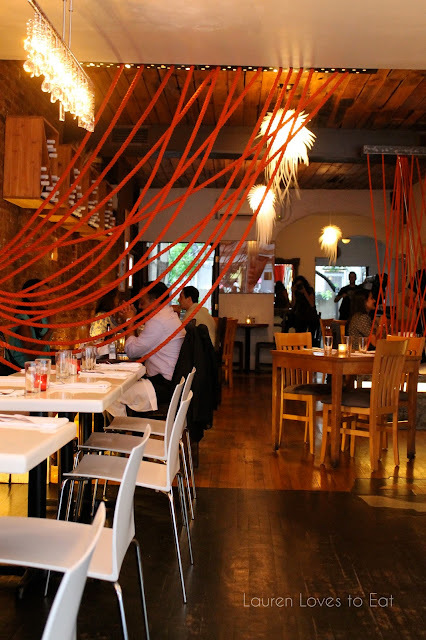 Giano has somewhat of a unique interior design, with transparent light bulbs, hanging red ropes, and brick walls filled with small candles. 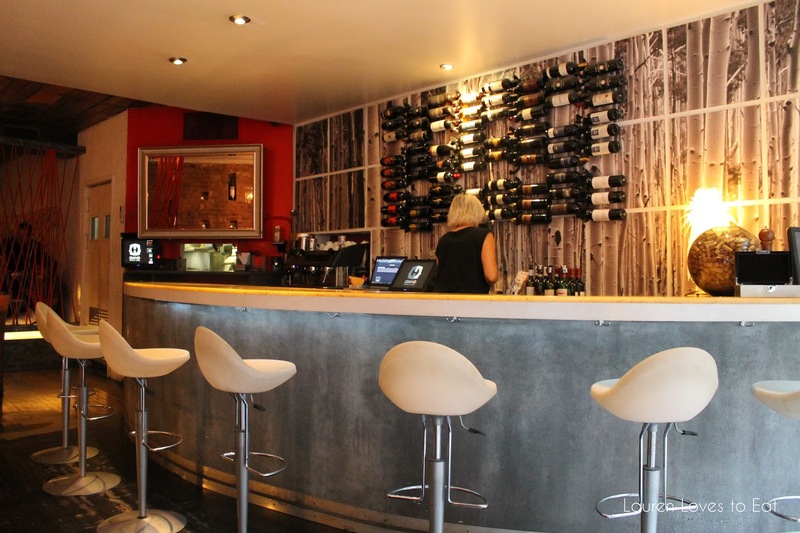 The bar sits at the front of the restaurant, and feels very modern and spacious. The first time I've tried a... fried tuna ball? Sounds strange, but it's actually really good. The tomato sauce was so fresh and just tasted so homemade! 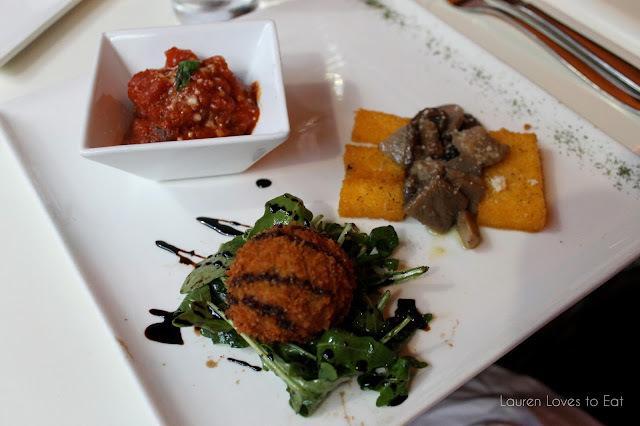 A great mix of mushrooms seasoned lightly and served with crunchy polenta. Such a unique way of preparing polenta. I found this a little too fried (slightly too hard), and very over-salted, so I concentrated on enjoying the mushrooms alone. I'm not a big fan of lamb, but this meat was pleasantly not gamey. I did find the sauce a little too oily though, and skipped on to the next pasta after a bite or two. My absolute favorite pasta of the night. I love strong flavors like anchovy, and together with the crunchy panko and al dente pasta, I could not get enough of this. This had the mildest flavoring out of the three pastas, and while it was nice and simple, it was very much overshadowed by its counterparts (mainly the tonnarelli!). Pan seared cod fillet with tomatoes, black olives, capers, and crispy polenta. So darn good. 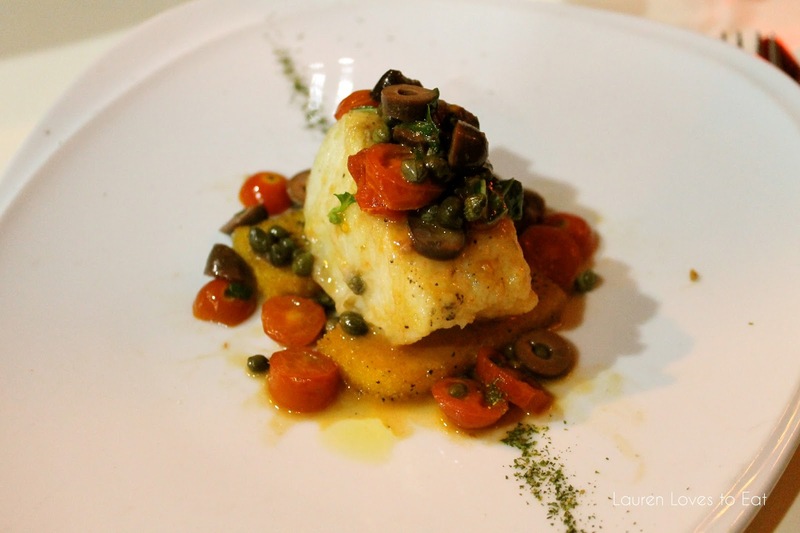 Although simple, the flavors were excellent and the fish just superb-- both buttery and flaky. Again, the polenta was too salty, but if that was fixed, this dish would be perfect. 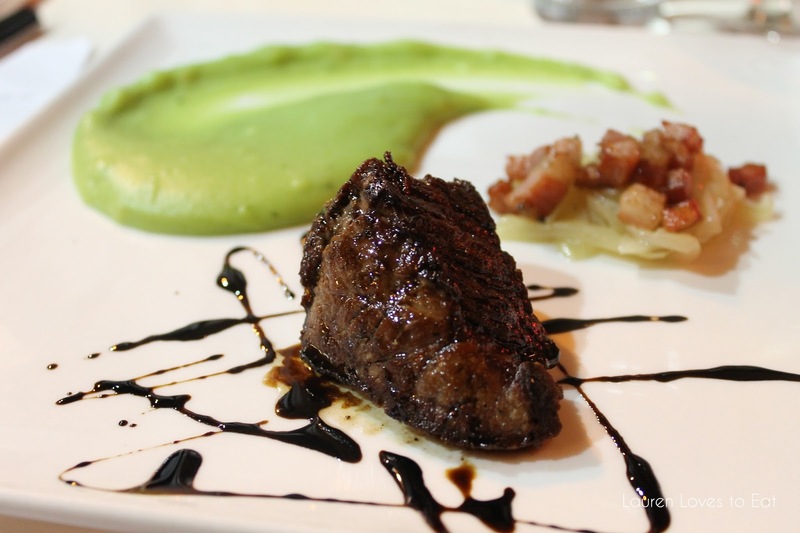 Balsamic glazed filet mignon served with basil mashed potato, crispy pancetta and braised onion. Filet mignon is always my choice of steak, and this one was delicious. Tender, the right shade of pink in the middle, and seasoned just right. The pancetta was forgettable, but the basil mashed potato was out of this world. So creamy and tasty. Why is basil mashed potato not a popular menu item in restaurants? It surely needs to be. I was stuffed at this point, but who turns down dessert? 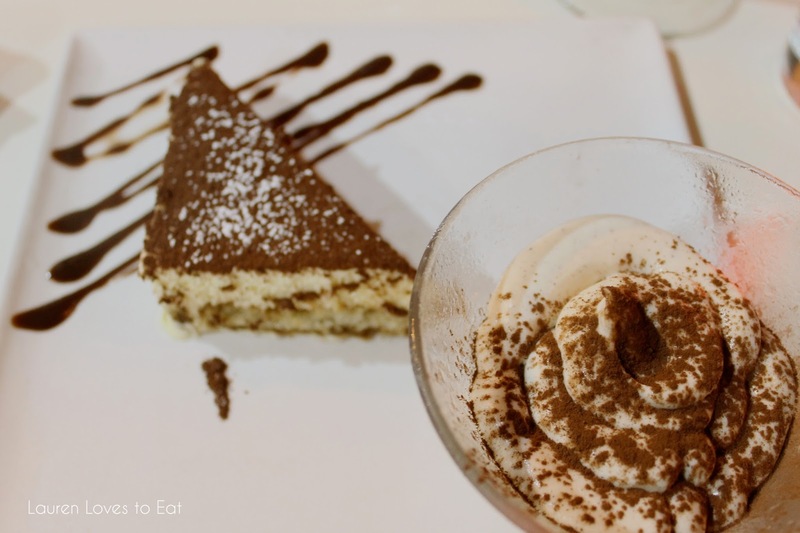 Tiramisu and Cappucino. The cappucino was served in a martini glass-- homemade coffee gelato, layered wafer cookies, and a ricotta, coffee/cinnamon foam. This version of a cappucino blew me away. It reminded me of the affogato from Gorgeous Gelato, bringing back sweet sweet memories. The coffee flavor was strong, and the wafer cookies brought a nice balance to the sweet gelato.